The article part is UnNews, source of up-to-microsecond misinformation. Is technician with head of giant size, using skill of superior Soviet to make Sputnik be ready for racing to space! MOSKVA, CCCP -- World is full with shock at surprise launch of satellite with name of Sputnik 1. Satellite, make from alloy of secret construction, was lift to space by Semyorka rocket with fuel of liquid in morning of today, and at time that is now orbits about world making beep-beeps of electronic radio-type. Up on hearing of news Yanquis of Amerika are rush to hiding in underground shelter of bomb. Their fear and frightening is said by comrade Sergei Nesmeyanov, Ambassador of CCCP in place of Washington, to "Making us in office of Soviet Embassy be out loud releasing of laughter. I listen to President of Amerika on radio of Capitalist transmission get down on knees and be begging for citizens of Yanqui country to '...rise up and be throwing off of chain.' Today is victory of scale more large than winning of Europe in Great Patriotic War." 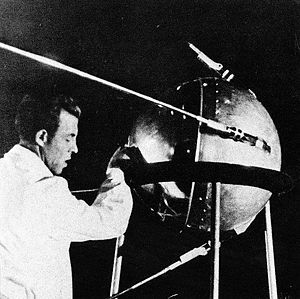 Sputnik 1, with mass of 83.6 Kg, is transmit beep-beeps on length of wave at 1.499 metres and 0.749 metres. Citizens of world can be hearing with own ears beeps on radio that is tune to first or second length of wave to verify truth of this. Many bottle of vodka across CCCP are open in celebrating of orbiting Sputnik. Streets of Moskva are bring to halt of traffic, as citizens of most power-filled nation in world flow over sidewalk and spill on to road in festivity and spirit. Many partying science-ists in Russian Academy of Sciences, or Rossiiskaya Akademiya Nauk, of Moskva have be twisting of ankle and falling with hands on ground after crowd of comrade march in solidarity on road to Kremlin and step in holes of pot. Services of emergency did react with double-plus quick time, taking citizens with injury to place of medicine. In CCCP places of medicine, or hospitalski, are pack with doctor and nurse. Doctor are smart and head is full with school. Nurse are strong and have capable to inspire comrades with injure, such like breaking leg, attack of pulminary-type, and crazy in brain, to be getting better. 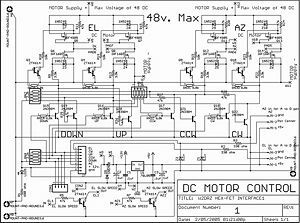 See and be marvelling complex diagram of schematic-type for Sputnik. Science of CCCP is superior and racing to space is won! "KGB tell me that small number of citizen are found to not be taking apart celebration." say Georgy Maximilianovich Malenkov, Chairman of Minister Council of USSR, in interview with reporter of official state news on reel and reel recording of tape. "Comrade like this are warn to be enjoying party with more hearty. Day off from work at mine of asbestos or Zavod Imeni Likhacheva factory of automobile for partying like 1999 better than gulag, is no?" "Craze of dancing, called 'Beep-Beepski' is sweeping across great nation of this." say local beatnik, Korolev Vetrov, before being ship by train to Siberia for long vacation. "Cats who are full with hip are standing and shaking bodies in dance of this type." 'Today is time of party. Is great day for Soviet Russia. Tomorrow will be much labour for comrade worker.' read print of Politburo recommendation post on wall all across CCCP after announcing of Sputnik was make. In speech on podium Nikita Khrushchev, First Secretary for Communist Party of Soviet Union, was so fill with emotion that tear was seen to leak from head. He say that "Sputnik 1 is first step to space for CCCP, and Sputnik 2 soon will also be taking first step on day three in month of November. Racing for space is won! In near future, cosmonauts live and work in space of vacuum, in giant station of orbit with weapons of atomic-type. This will bring ending quickly to Cold War, with nation that use blood of worker to grease machine of capitalism change to socialist utopia all over whole world!" This page was last edited on 5 June 2012, at 04:54.